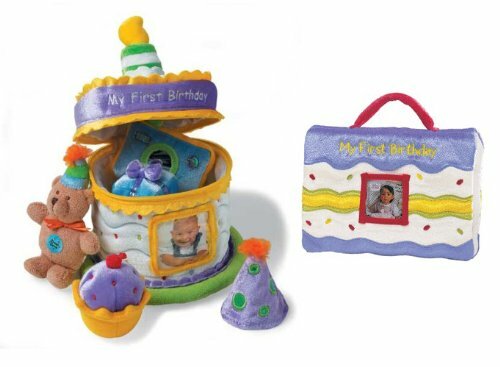 My First Birthday Personalized Photo AlbumCategory: First Birthday Photo AlbumThis adorable personalized wood album features a unisex design with the phrase "My First Birthday" appearing at the top just above fun balloons. We then personalize the bottom with any two lines of text you choose to make it a one-of-a-kind gift. 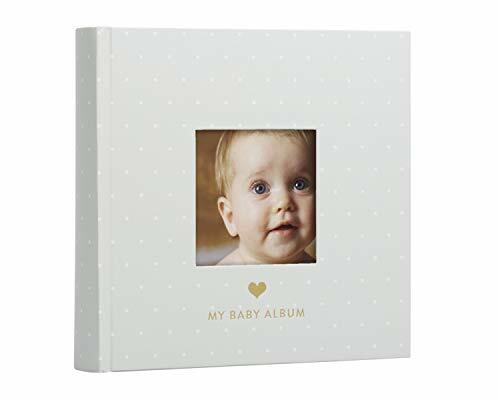 2UP My Sunshine Photo AlbumCategory: First Birthday Photo AlbumThis 2UP My Sunshine Photo Album is ideal for documenting important moments in your life or storing your favorite family photos. You can use it to save and protect pictures from your engagement, wedding, vacations and more. It features bold letters and bright colors with the phrase "You are my sunshine" on the front cover. 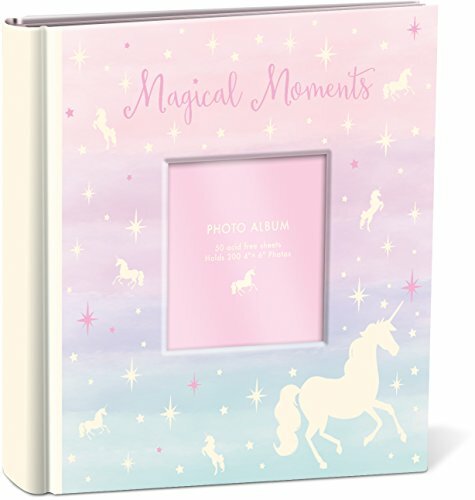 Use this acid-free photo album to display your favorite pictures and flip through the pages to enjoy the special moments you captured. This item is photo safe, and can hold up to 160 pictures. It also makes a wonderful wedding or housewarming gift. Pinnacle Frames and Accents Baby Girl's First Year Milestone Memory Book Journal and Photo AlbumCategory: First Birthday Photo AlbumDecorative and beautifully illustrated Baby Girl's First Year Hardcover Milestone Memory Book Journal and Photo Album is the perfect way to log and preserve all of the milestone events and moments in your new born's life. Log moments from the baby shower to baby's first day home to baby's first birthday. 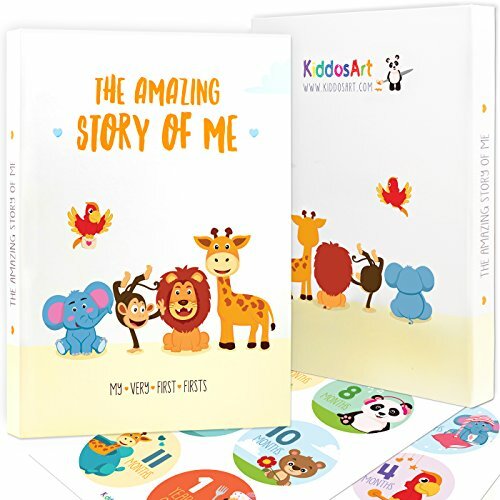 Each page is brightly decorated with adorable illustrations, a full page space to jot down memories and a full page space to include photos from each event. Makes for a wonderful baby shower gift! 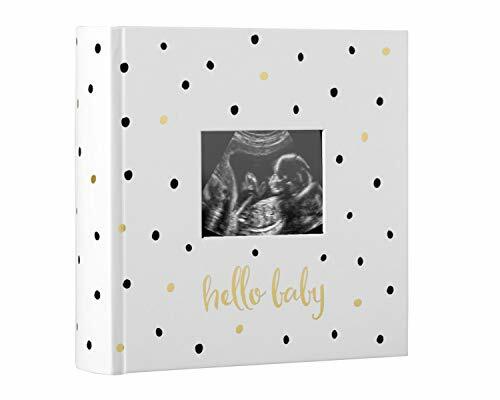 Pinnacle Frames and Accents 3Up Spiral Black Photo AlbumCategory: First Birthday Photo AlbumThis spiral photo album holds 300 photos, is photo safe and includes memo. Pinnacle Frames and Accents 2Up Heart Photo AlbumCategory: First Birthday Photo AlbumThis heart photo album holds 208 photos and is photo safe. Pioneer Family Collage Frame Cover Large Photo AlbumCategory: First Birthday Photo AlbumStore and display your treasured memories with this 5-Up Collage Frame Sewn Embossed Photo Album. It features a durable leatherette cover that can hold five pictures of your choice. Each page in this 5-Up Photo Album has three pre-punched holes for binder rings, ribbons and more. Pioneer 3-Ring 504 Pocket 4x6 Photo Album, Hunter GreenCategory: First Birthday Photo Album3-ring pocket HUNTER-GREEN album for 504 photos - 4"x6"
Pinnacle Frames and Accents Magnetic Black Photo AlbumCategory: First Birthday Photo AlbumPreserve your priceless memories with the Pinnacle Frames and Accents Magnetic Black Photo Album. It is also suitable for scrapbooking. This magnetic photo album features ring-bound binding that allows you to remove and add pages with ease. 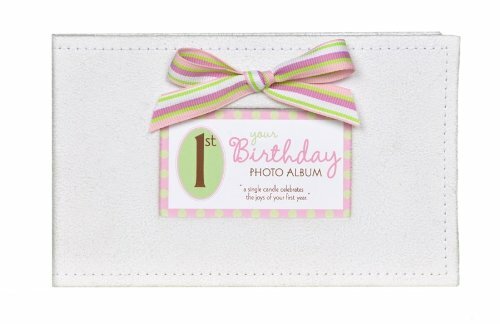 Use it to store photos, clippings and memorabilia up to 8" x 10". The magnetic pages help keep your pictures safely contained. The photo-safe sheets are also acid-, lignin- and PVC-free. This sturdy photo album comes with 80 removable pages. It also makes a fantastic binder for scrapbooking. Scrapbook Classic Leather 3 Ring Album Aqua 12X12Category: First Birthday Photo AlbumProtect scrapbook pages or photos in this We R Memory Keepers® aqua leather three-ring album. This 13 x 15 x 3-inch binder is made with archival-quality acid-free leather materials and includes three interlocking, snag-free D-rings to safely hold pages. The bright aqua color and metal corner tips help this three-ring album stand out. 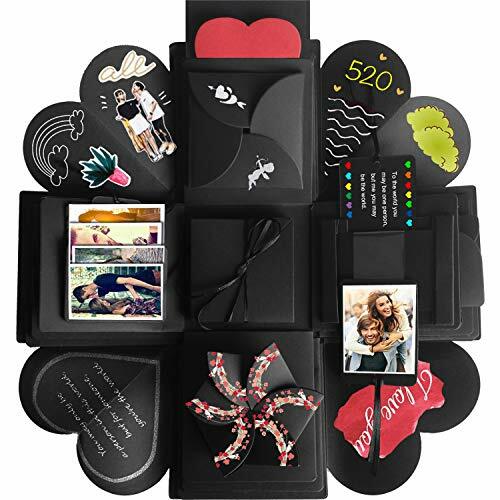 Pinnacle Frames and Accents 2-Up Black Photo AlbumCategory: First Birthday Photo AlbumOrganize and display your treasured memories and favorite moments with the Pinnacle Frames and Accents 2-Up Black Photo Album. It features 60 pages - each with four slots to hold a total of 240 pictures. Ring-binding allows you to easily remove and add pages and to rearrange the order of the photos to your liking. This Pinnacle photo album is a safe place to keep your snapshots, even for long term storage. A memo space lets you write captions, dates and other info next to each picture. 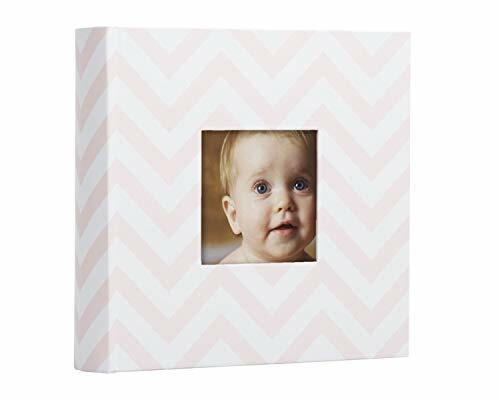 Arrange baby pictures, vacation shots and more in this Pinnacle Frames and Accents photo album. 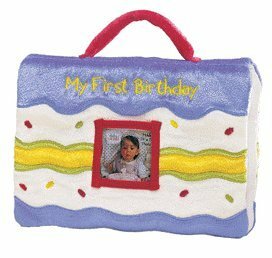 Pinnacle Photo AlbumCategory: First Birthday Photo AlbumKeep your precious photos safe with the Pinnacle Frames and Accents 3-Up Black Photo Album. It's capable of holding up to 300 photos in photo safe pages, ideal for preserving your best memories. Each page in the Pinnacle photo album allows you to arrange your photos in a column, with three photos per page for easy viewing and for better organization. 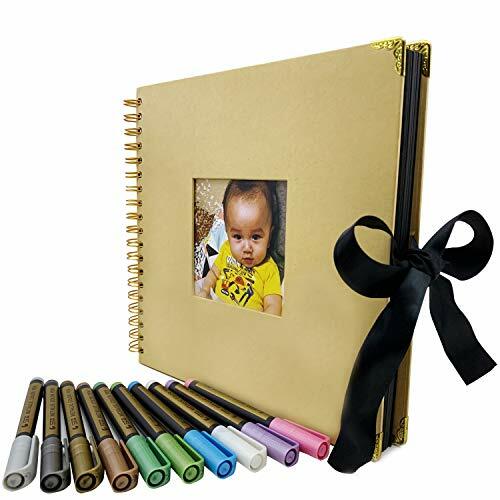 This hardcover book ensures that your photos are protected so long as the book stays closed, so you'll always be able to look back on your pictures and enjoy precious moments.